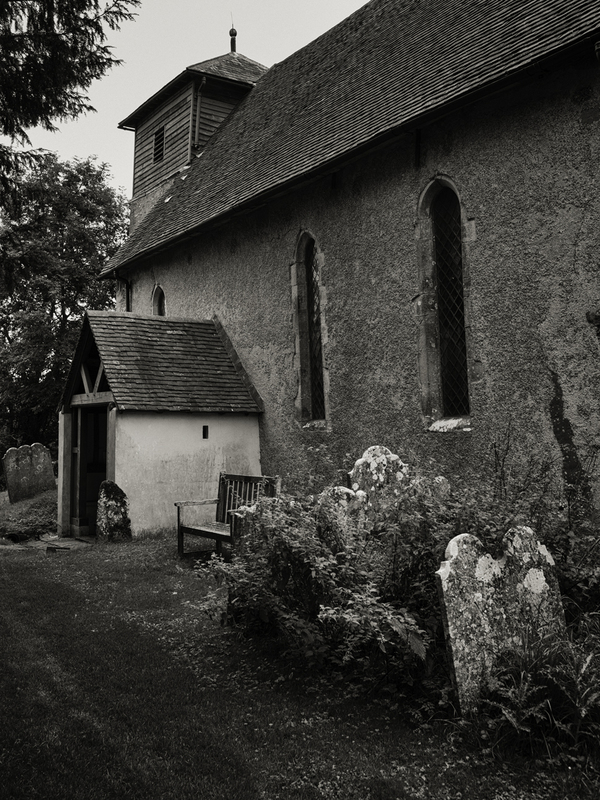 St Michael’s in Up Marden is a small, beautiful and unspoilt country church dating back to the 13th Century. Within the South Downs National Park it lies to the north west of Chichester and to the south of the Hampshire town of Petersfield. Invisible from the road behind farm buildings and surrounded by trees and farmland it would be easy to pass it by. Even if you happened to find yourself along this very quiet country lane in this remote backwater of West Sussex, you still might miss the small sign which leads you up an unmade track to the church. 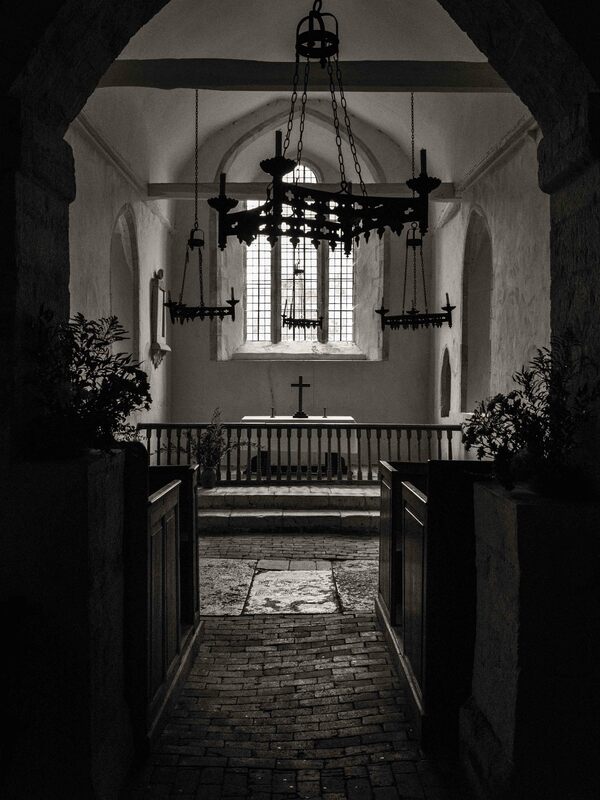 When I visited the church it was quite a dull day and on entry the nave was dark and it took a while for my eyes to adjust to the light. 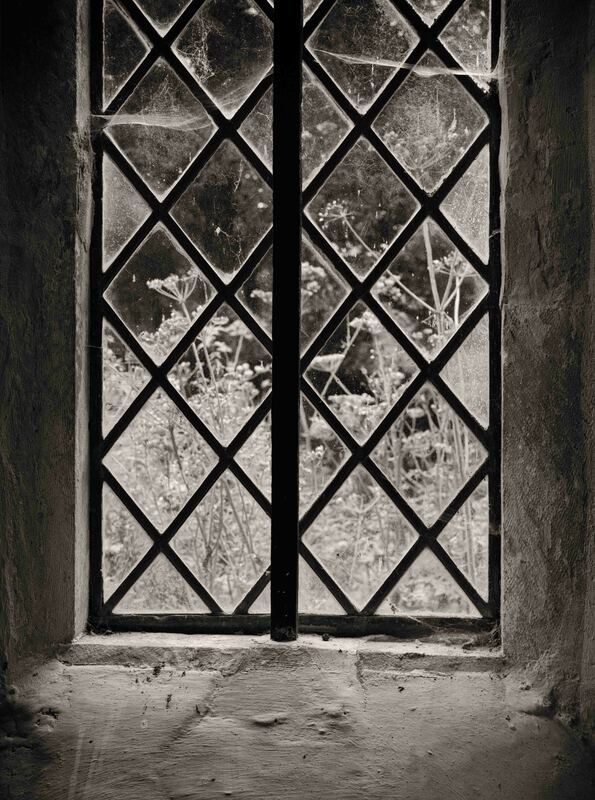 I rely totally on natural light for my work, I don’t even possess a flash but even if I did, I wouldn’t use it as I like to work with the light I am given and not create an artificial look to my photographs. I did though wonder how I was going to cope with such poor light, but the combination of a high ISO setting (1600 or 3200), a monopod, and some careful post processing, I was able to achieve the results you can see in this post. I spent over two hours on my own, observing and taking in the atmosphere of this lovely building, working out the best way to capture the almost rustic simplicity of this church. 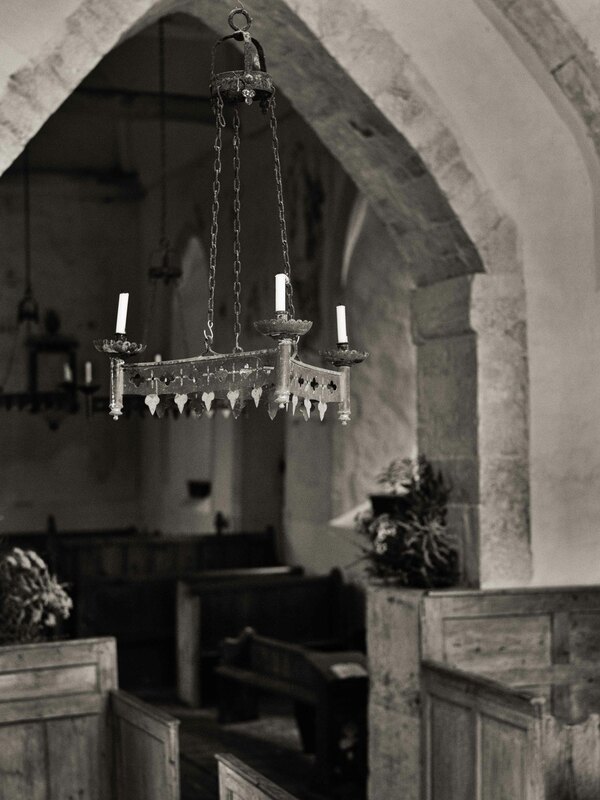 After all it is still lit by candles, so there are no ‘modern’ wires or bulbs to take away the fact that this is a very old place of worship for country folk. Within the same area there are churches at East Marden, West Marden and North Marden, but they will all have to wait for another day. 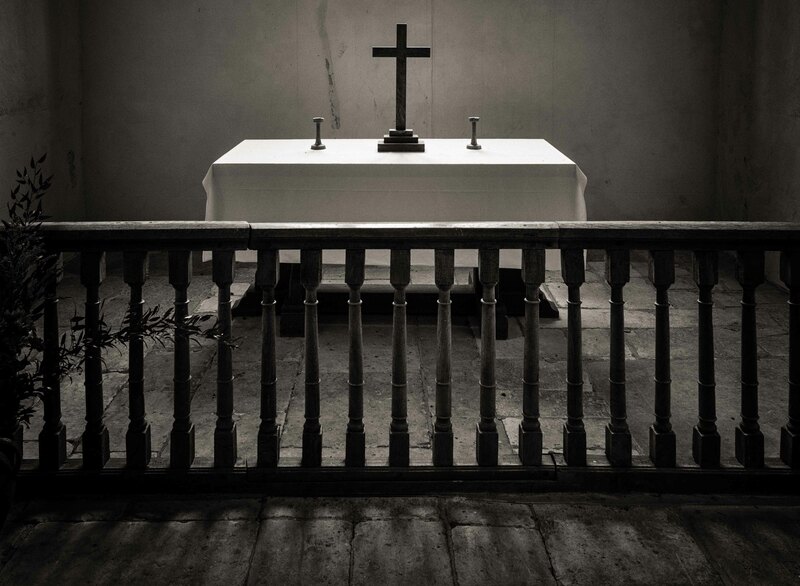 Do click on any of the images to view a larger version in a new window or visit the West Sussex Gallery page for other churches in the county. 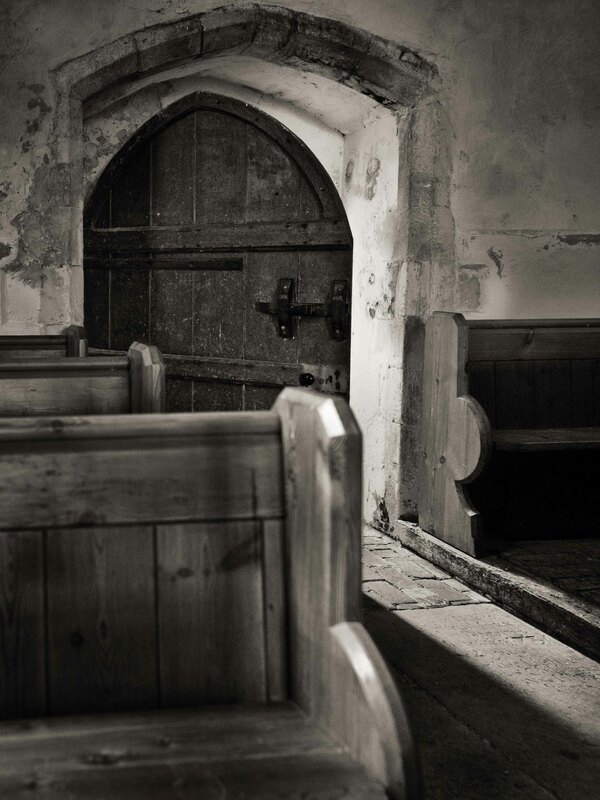 For more information about my ongoing Churches Project do click here. I like how the light reveals the stone Chancel floor. I imagine this particular church with minimal light might have been hard to photograph. Thanks Vicki. It certainly was a challenge and a tripod would have helped me but I prefer the spontaneity of either hand held or a monopod. This sounds an interesting place made even more so by your excellent series of images. Thank you David. It’s a very special place and I think I will return to explore further opportunities. Wonderfully captured Alan. 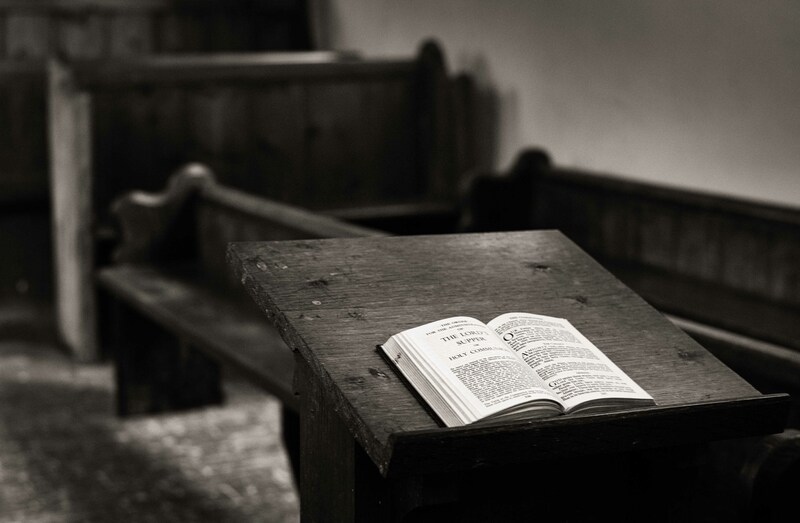 These images have captured the essence and soul of this church.